The Personalized Engraved Aluminum Service Dog Badge is an anodized aluminum engraved badge. It is engraved on both sides. There is a graphic of a paw with a cross inside it. The badge comes with an attached S-hook so you can attach it to your dog's vest, your bag, or wheelchair and then clamp it closed. Includes the ADA Federal Law and access permitted statement. 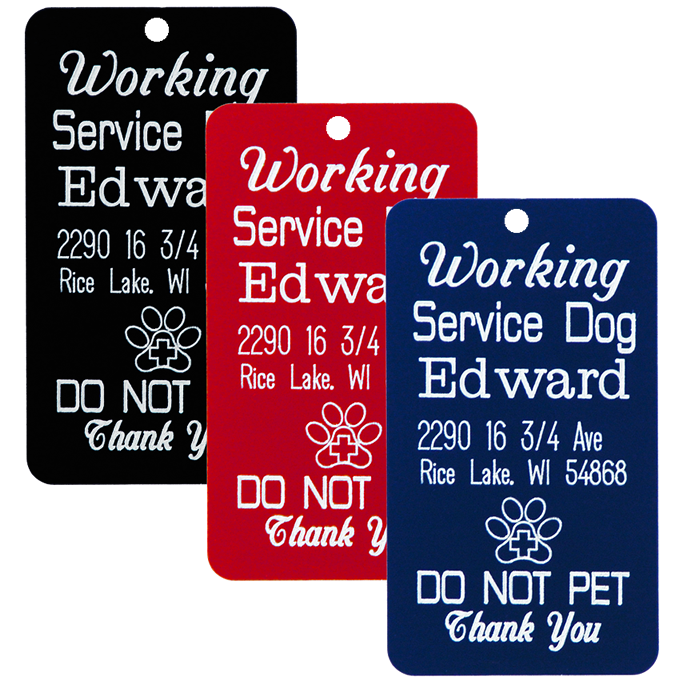 Note: This tag is for a Service Dog ONLY.